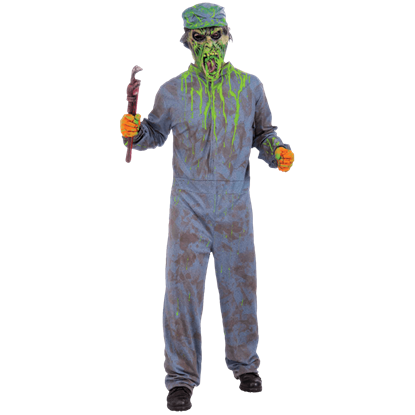 If you're a man who happens to be looking for a complete and comprehensive zombie costume, then you've come to the right place. 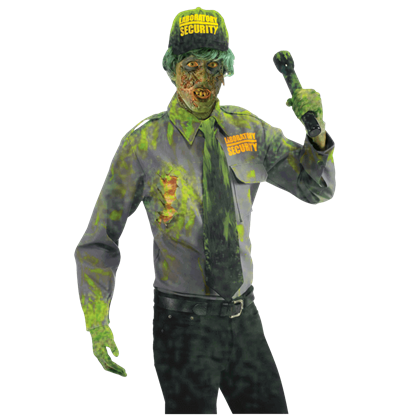 Here at the Zombies Playground, you'll find zombified costumes galore here, each one more iconic, intriguing, or impressive than the last. 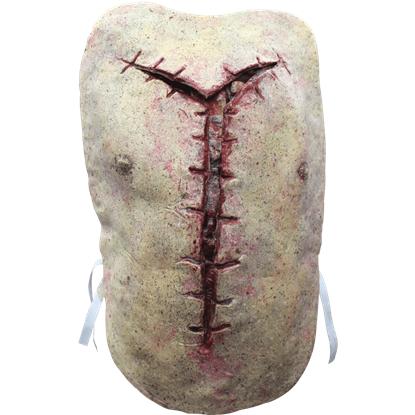 And since zombies come from all walks of life, you'll find all manner of zombie costumes here, in a variety of different shapes and styles. 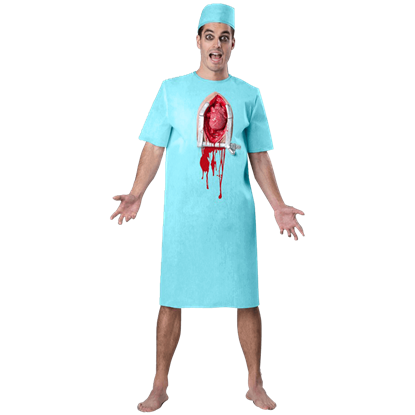 You'll even find a few from different eras! 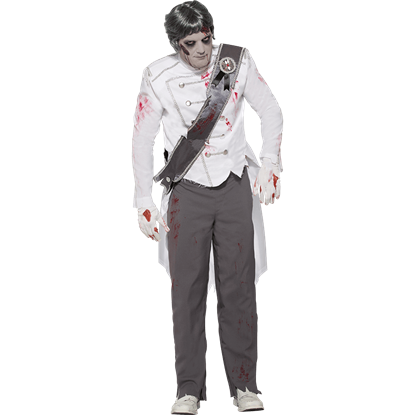 Modern-day zombies can choose from a variety of costumes, ranging between formal looks perfect for zombie grooms to zombie doctors, dressed in scrubs, all the day down to rock star zombies, still rocking from beyond the grave! 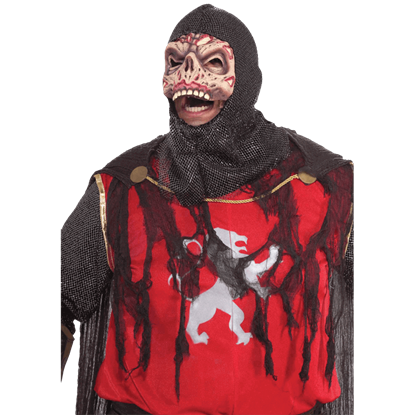 And since zombies aren't restricted to one era, we even have zombie costumes that are perfect for medieval monks, pirate-age plunderers, and armored warriors straight from the Middle Ages! 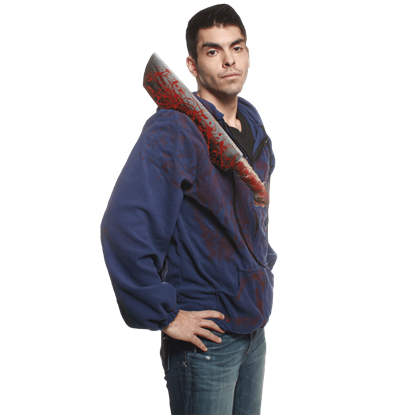 Tattered and twisted, all of our men's zombie costumes are great options for a variety of different events, ranging from a family night out on Halloween to something more organized, like an official zombie walk. 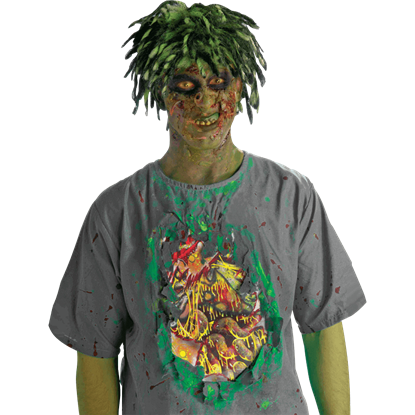 But the most important thing is that whenever you wear a men's zombie costume from the Zombies Playground, you will look and feel just like a real zombie. 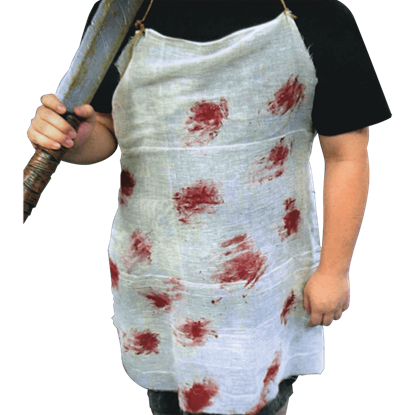 Customers who prefer the taste of human flesh frequent the shop of this murderous fiend. 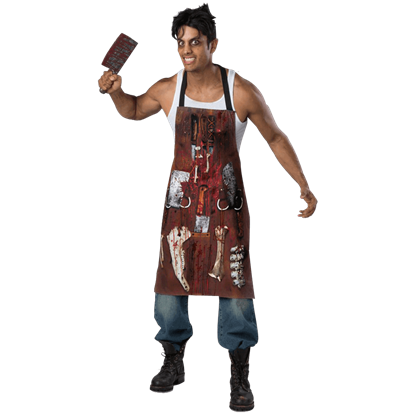 Inspire fear in the hearts of your fellow partygoers, or send haunted house participants screaming with the Chop Shop Butcher Costume Apron. 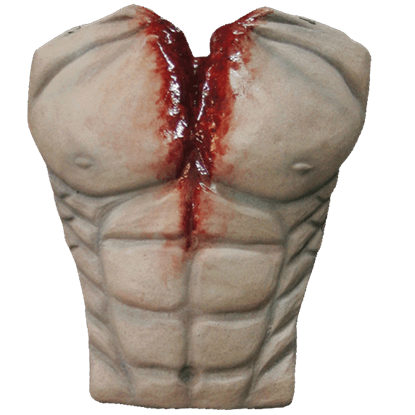 While a ceaseless hunger for human brains may be somewhat distracting, your passion for football goes beyond the grave. 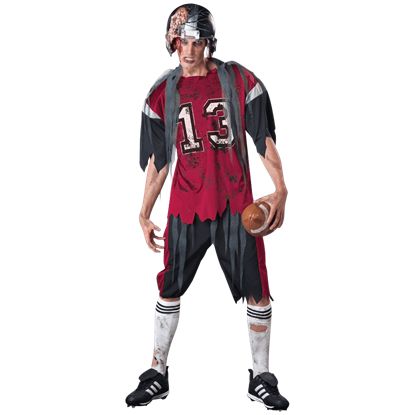 Send opponents into a panicked frenzy as you score another touchdown with the Dead Zone Zombie Adult Costume.